Hey yall! Welcome to Chasing History. Today, our hosts — Devin and Ian — will be questioning whether industrialization is a necessary prerequisite for the growth of popular sport. We will use the proliferation of soccer in England during the Industrial Revolution and in Mexico throughout the twentieth century to unpack this question. Ellen, Braxton, and Torey are visiting us today as historian experts on the topic. There are a great deal of connections to be made, and we cannot wait to learn more about the growth of soccer in these two countries. Enjoy! Arbena, Joseph L. “Sport, Development, and Mexican Nationalism.” Journal of Sport History 18, no. 3 (Winter 1991): 350-65. Accessed April 16, 2018.http://library.la84.org/SportsLibrary/JSH/JSH1991/JSH1803/jsh1803c.pdf. Baker, W. J. “The Making of a Working-Class Football Culture in Victorian England.” Journal of Social History 13, no. 2 (Winter 1979): 241-51. Accessed April 16, 2018. doi:10.1353/ jsh/13.2.241. Castaneda, Luis. “Choreographing the Metropolis: Networks of Circulation and Power in Olympic Mexico.” Journal of Design History 25, no. 3 (2012): 285-303. Accessed April 16, 2018. doi:10.1093/jdh/eps023. Hill, Jeffrey. “Sport and Politics.” Journal of Contemporary History 38, no. 3 (July 2003): 355-61. Accessed April 16, 2018. doi:69.12.38.44. Lund, Joshua. “The Mestizo State: Colonization and Indianization in Liberal Mexico.” PMLA 123, no. 5 (October 2008): 1418-433. Accessed April 16, 2018. doi:10.5749/minnesota/ 9780816656363.003.0001. Magazine, Roger. Golden and Blue Like My Heart: Masculinity, Youth, and Power Among Soccer Fans in Mexico City. Tucson: University of Arizona Press, 2007. Minster, Christopher. “Mexico City’s Historic Olympic Games.” ThoughtCo. May 16, 2017. Accessed May 15, 2018. https://www.thoughtco.com/mexico-city-1968-summer- olympics-2136662. Nadel, Joshua H. 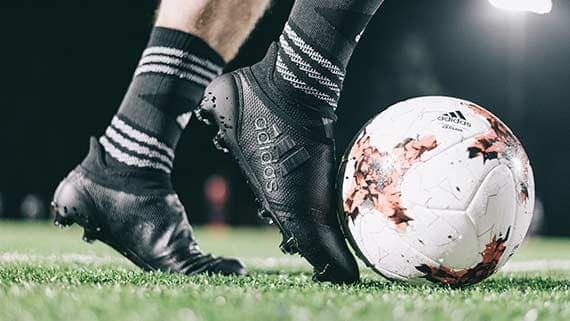 Fútbol! : Why Soccer Matters in Latin America. Gainesville, FL: Univ. Press of Florida, 2014. Passarelli, James J. “Italy in Mexico: Chipilo.” Italica 23, no. 1 (March 1946): 40-45. Accessed April 16, 2018. doi:10.2307/475278. Womack, John. “The Spoils of the Mexican Revolution.” Foreign Affairs 48, no. 4 (July 1970): 677-87. Accessed April 16, 2018. doi:10.2307/20039475. Hello everyone, and welcome to our podcast. This podcast focused on cheating in sports, specifically the infamous 1919 Black Sox scandal. 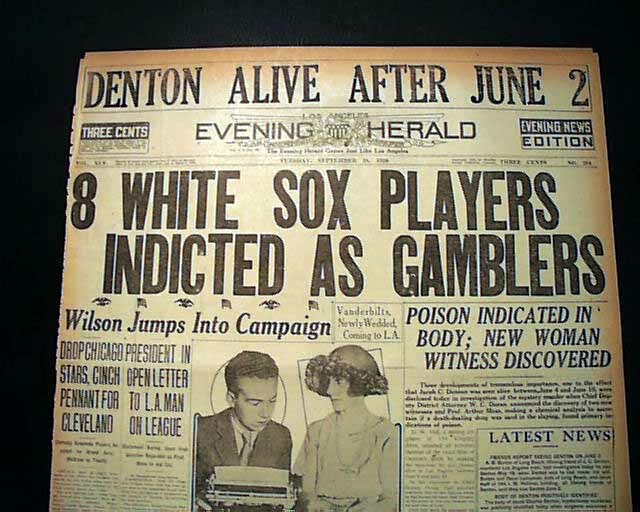 Benjamin Hadlock is the host, and for this podcast he brought in three historical experts to discuss the context of the scandal, and whether the Black Sox players got what they deserved. 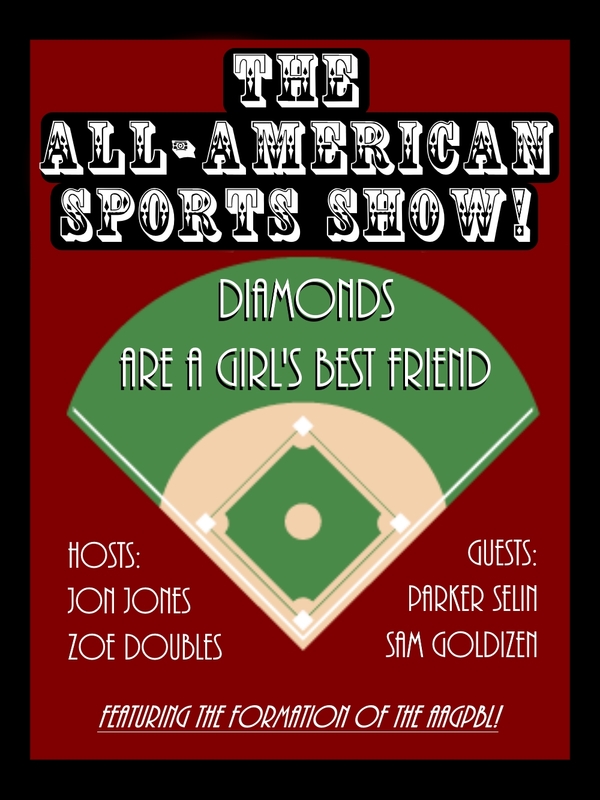 In particular, this podcast mainly focuses on the social and economic issues surrounding baseball at the time, specifically players rights. The first expert, Andrew Salchli, gives an overview of the event and focuses mainly on providing context for the scandal. Austin Lotspeich is brought in to argue that the Black Sox got what they deserved and why the punishment was justified. Trace Oliver is the final expert, and his argument is that the Black Sox players were forced to cheat due to the nature of baseball at the time. We hope that you enjoy and that, at the very least, you learned more about baseball and cheating. Anderson, William B. 2001. “Saving the National Pastime’s Image.” Journalism History 27, no. 3: 105. Academic Search Complete, EBSCOhost (accessed February 20, 2018). Blausdell, Lowell K. 2007. “Judge Landis Takes a Different Approach.” Nine: A Journal Of Baseball History & Culture 15, no. 2: 32-45. Academic Search Complete, EBSCOhost (accessed February 20, 2018). Bachin, Robin F. “At the Nexus of Labor and Leisure: Baseball, Nativism, and the 1919 Black Sox Scandal.” Journal of Social History, vol. 36, no. 4, 2003, pp. 941–962. JSTOR, JSTOR, www.jstor.org/stable/3790358. Eschner, Kat. “The 1919 Black Sox Baseball Scandal Was Just One of Many.” Smithsonian.com. September 01, 2017. 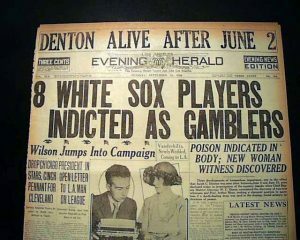 Accessed May 01, 2018. https://www.smithsonianmag.com/smart-news/1919-black-sox-baseball-scandal-wasnt-first-180964673/. As you listen, you’ll get a sense of the unique personas we all take on and you’ll see why we had such a good time recording this. We only hope that it will give you listeners as much joy and knowledge as we gained from making it. Please have a listen and enjoy the hard work we put into this! Pierman, Carol J. “Baseball, Conduct, and True Womanhood.” Women’s Studies Quarterly, Vol. “Baseball: a league of their own.” Off Our Backs, Vol. 22, No. 3, 1992: When will it end?